On September 19th it was National Pirate Day and the kids were pretty excited about it! Some local places were giving away freebies if you came by dressed as a pirate. We didn't have a costume for everyone and so we had to get creative. The kids really love sitting down together and doing fun little crafts, I knew they would really get a kick out of making their own costumes. I went through my scrap box of old shirts, fabric and sewing bits to come up with a piratey outfit for everyone! Some eyeliner for the facial hair and we were in business. The kids and I laughed so much that evening, I cannot remember ever laughing so hard before. We drove around gathering and pigging out on our freebies. It was such a fun night that I'm sure the kids will always remember. One thing to remember is that you don't always have to spend lots of money to make special memories. Kids will remember a fun time no matter what the cost. It's usually just the simple things that are remembered the most. Kind of like when you give your child a new toy and all they want to play with is the box it came in! Maybe it's making them a special sandwich and taking the time to sit there and chat while they eat. It could be coloring a picture together or mixing up a batch of cookies. Every year we plan to make this a tradition and I'll have my scrap box ready to go for every year. Wonderful childhood memories are one of the best things a parent can pass on to their children. Making memories that last also helps us parents cherish those childhood moments a little bit more. What special memories have you made with your family? Do you have photo of a special moment? You could win $5,000 for that photo what would do with the money? Feel free to leave me a comment below! Welch's has just initiated a new effort called Share What's Good. This initiative is all about sharing everyday special moments that take place with friends, family or loved ones. At ShareWhatsGood.com you will discover a collection of great content from fun family ideas to yummy recipes. You may share pictures of your every-day moments and see how others are doing the same. 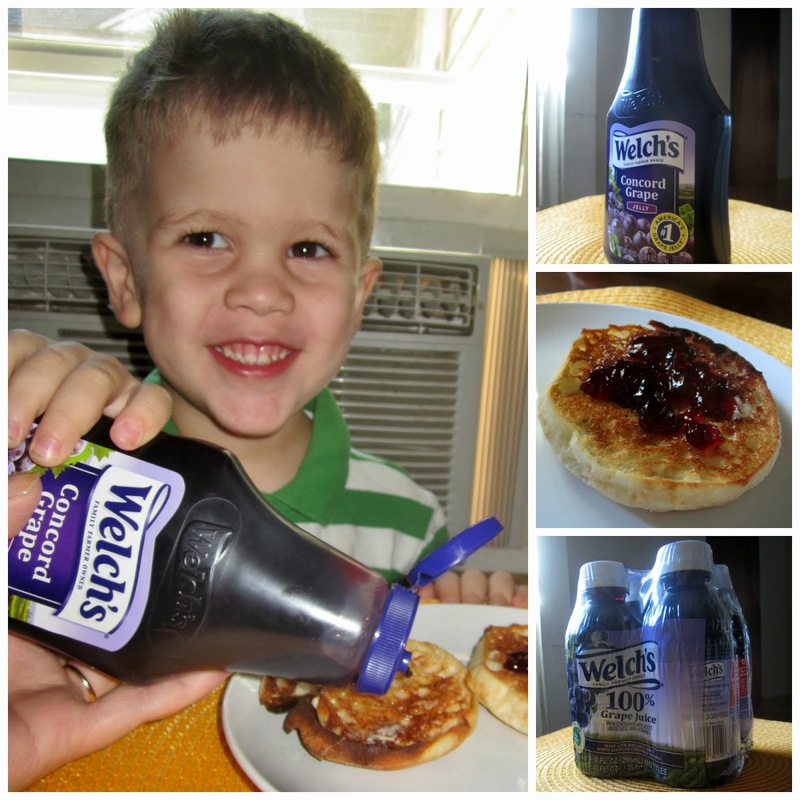 As part of this campaign, Welch's has launched the Share Your Moments photo contest! Until 10/25/13 when you upload a picture of your fave family/friend/loved one moment you will be entered for a chance to win $5K! 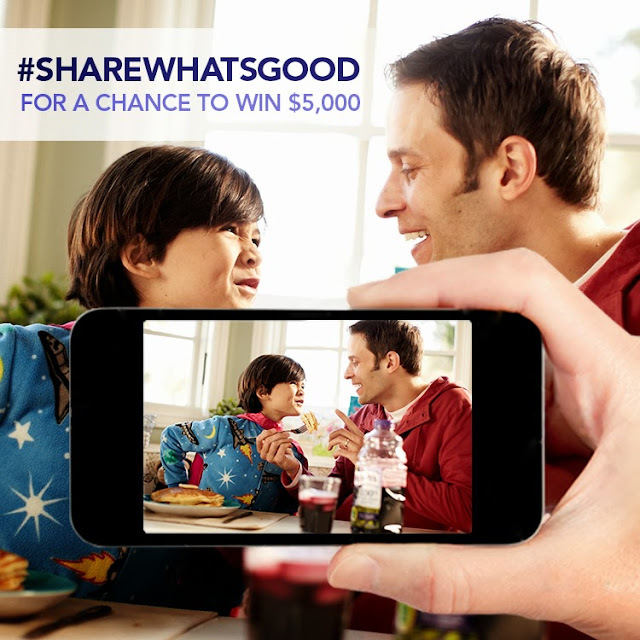 Post your photos to Twitter or Instagram with the hashtag #Sharewhatsgoodto win!